Yogyakarta, UII Medical Faculty – The increasing number of baby births defects in Indonesia make the parents also participated with the State concerned. It’s been reasonable if parents worrying about the health of his son from an early age. Although as parents would know what has had to be given to their children so that its growth will not be disturbed by providing adequate nutrition and compassion. But there were many parents who didn’t know a lot of interference on the growth and development of children which may be threatened at any time. 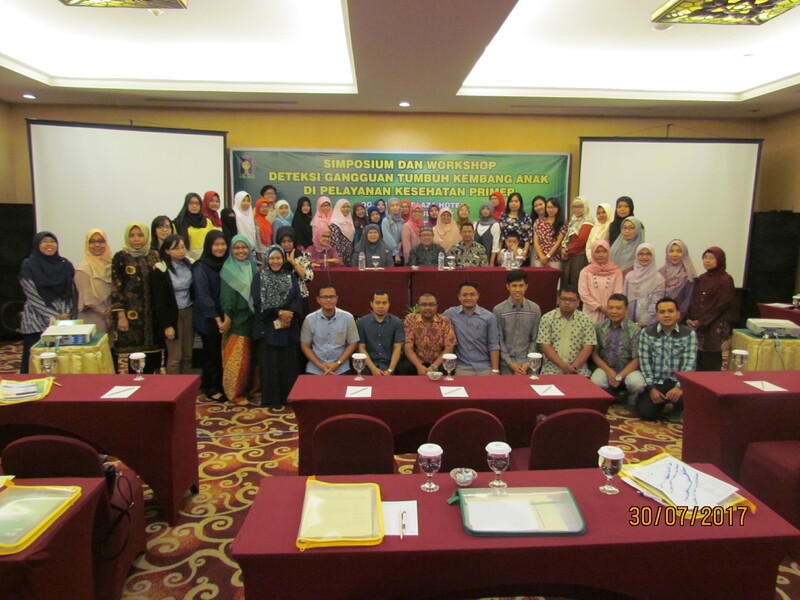 Therefore, through the primary-level health facilities, the Faculty of Medicine UII held a “Workshop on Detection Symposium and Grows Flower Children in Primary health care” in Jogja Plaza Hotel, Sunday (30/07). The event starts with a symposium in advance. The symposium itself raised the 2 subject matter, namely the normal development of the children delivered by Dr. M.P. Machfoeds, H Soeroyo, SP. A (K) as well as the development and early detection of disorders submitted by Dr. Mei Neni Sitaresmi, Ph.d., Sp a. (K). After questioning and prayer, the show is filled with workshop (parallel) on the use of tools of monitoring the development and use of the DDST and KPSP tools early detection of autism and GPPH accompanied Dr. May Neni Sitaresmi, Ph.d., Sp a. (K) and Dr. Tien Budi Febriani, M.Sc SP., as facilitator. The activities who organized in the form of seminar and workshop aims to improve knowledge and skills in the service of primary health workers and the public. So the basic science will be present to the public in order to anticipate disruptions on the growing swell of their children. Because as the nation’s next generation is already appropriately throughout the country get health facilities such as health centers with a workforce that have the professional skill. So no more mental as well as physical disabilities experienced by children from the womb to grown-up. Yogyakarta, UII Medical Faculty – Every month on Friday of the second week, UII Medical Faculty will hold health seminars for general practitioners, internships and coasses. The event was held from July to December 2017 at the 1st floor auditorium of Faculty of Medicine UII. As the opening month, this time the MPCU was heldon Friday 03 Dzulka’idah 1438 H/July 28, 2017, from 12.30-3.50 pm. After all participants registered, the event opened with the reading of the Holy Qur’an and the welcome speech of the Dean of FK UII. Then the first material presented by Dr. Marfianti, Erlina Sp. PD M.Sc. which provides materials on the Management of Infectious Diseases in Primary Services (Typhus, DF / DHF and Leptospirosis) and Clinical Management of Family Practice Doctor presented by Dr. Ir. M. Husen Prabowo, M.P.H. in addition gained a lot of new science. Participants in this event also allowed for direct discussions with the expert. This event was increasingly attracting participants to follow MPCU because in addition to presenting the expert in his field, MPCU FK UII also raised various interesting themes ranging from infectious diseases to geriatric problem in primary-level health facilities are of course, very useful and needed by the participants to develop their ability. As one of the requirements for new APACPH member candidates (Asia Pacific Academic Consortium for Public Health), Faculty of Public Health University of Indonesia, as representatives APACPH Indonesia region, visited the Faculty of Medicine UII. During the visit on Thursday 26 Syawal 1438 H / July 20, 2017 from 10:00 to 15:00 pm in Faculty of Medicine UII, Dr. Ede Surya Darmawan S.KM, MDM, got various information, including the number of faculty and students, the budget provided by faculty / university to join APACPH, areas of expertise / research / training / service, and 3 possible collaborative activities. Dr. Ede was pleased with the enthusiastic welcome by the lecturers of Faculty of Medicine UII . Because this visiting is to show readiness of FK UII as APACPH member candidate. Visitation results will be taken to APACPH head office at Malaya University, Malaya for feasibility assessment of FK UII as a permanent member of APACPH. This organization is an organization that specializes in public health in Asia, Australia and Pacific region. The organization holds annual conferences with contemporary themes in the field of public health. 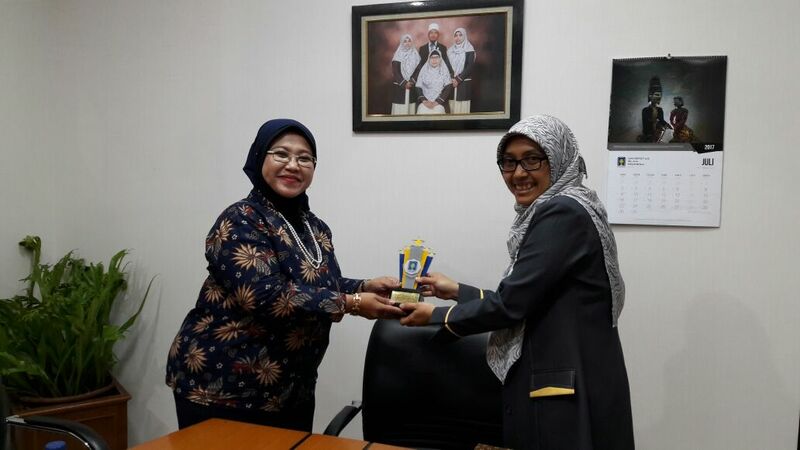 With the visitation of FK UII by APACPH representatives in Indonesia, it is expected to increase the contribution of Faculty of Medicine UII in research, community service, education and da’wah globally. Yogyakarta-FK UII – Of course it had been not surprising if many universities who wish to study the appeal made a visit to the Universitas Islam Indonesia, especially the Faculty of Medicine. Because on this year, UII get 3rd ranking after UGM and UNY. As well as being able to get into top 30 on a national level, that is ranked 28th. On Thursday 26th Shawwāl 1438 H/July 20, 2017 at 1.00 pm, Faculty of Medicine UII receive guest visits from Faculty of Medicine Yarsi University. This visited was represented by several professors from the Faculty of Medicine Yarsi University. They were Prof. Susi Endrini, Ph.d.; Dr. Goddess Imagery, M. Kes. ; Dr. Miranti Pusparini, M. Pd. ; and Dr. Rifqatuss’aadah, m. Kes. Their goal came to FK UII in order to develop the Islamic medical education curriculum in Faculty of medicine Yarsi University. In addition, they also liked to saw the implementation of the Islamic OSCE exam in Faculty of Medicine in UII campus.